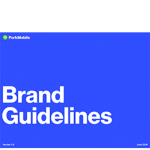 Find all the logo styles you need to get started championing ParkMobile. Click the icons below to download .eps, .jpeg, .png, .svg and .pdf files for each logo type to be used in accompanying news articles and other editorial channels. The following files are protected intellectual property of ParkMobile, LLC.